Remember that time I signed up for Books on the Nightstand summer bingo? Me too. Look at how much reading I've done! Last time I talked about my bingo card, I mentioned how excited I was to see how it would help me branch away from my typical reading patterns. I don't know that I ever would have picked up a verse novel or an audio book if not for this challenge. (The biggest surprise of all: I'm already listening to my second audio book. Eating my words, I tell you). Similarly, I'm not much for the weekly bestseller lists, but my bingo card forced me to check out what the world has been reading and take a chance on a current favorite. This challenge has been just the right balance of encouraging me to read broadly without making me feel too penned in, and I'll definitely be participating in similar ones in the future. Anyway, as much as I'd love to fill in the whole card, Labor Day weekend approaches and the perfectionist in me will just have to settle for a bingo. Right now, I can win if I read a book that was published during my birth year (1991, represent!) or one with footnotes. I have a few ideas in mind, but I'm worried that my current reading funk will make it even harder than usual to get into a new read. This is where you come in! Don't fail me now, book world. 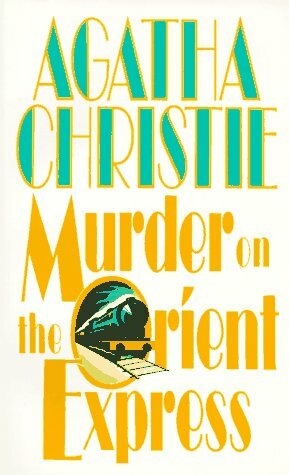 Any stellar and preferably short recommendations for a book with footnotes and/or published in 1991? 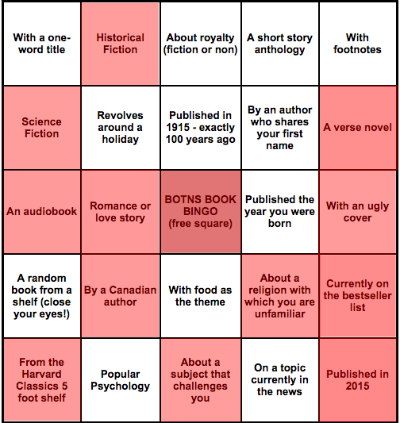 If I win bingo with your book, you can have a share of my spoils (aka my undying love, virtual cake and all the ridiculous GIFs you can handle). Let's Talk About It: Why Do We Love Being Scared? It's Monday, September 28! What Are You Reading? It's Monday, September 14! What Are You Reading? It's Monday, September 7! What Are You Reading?